16 inputs and 4 outputs are transmitted to Mac or Windows over high-speed USB 2.0 connection. 8 XLR microphone inputs with phantom power and 60dB of clean gain. 6 balanced line inputs, stereo S/PDIF digital and MIDI in and out, Cubase LE5 included. With box, PSU, manual and software. 16 inputs and 4 outputs are transmitted to Mac or Windows over high-speed USB 2.0 connection. 8 XLR microphone inputs with phantom power and 60dB of clean gain. 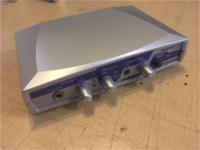 6 balanced line inputs, stereo S/PDIF digital and MIDI in and out, With box, PSU. 16 inputs and 4 outputs are transmitted to Mac or Windows over high-speed USB 2.0 connection. 8 XLR microphone inputs with phantom power and 60dB of clean gain. 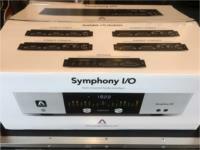 6 balanced line inputs, stereo S/PDIF digital and MIDI in and out, Cubase LE5 included. With box, PSU, manual, cables and software. 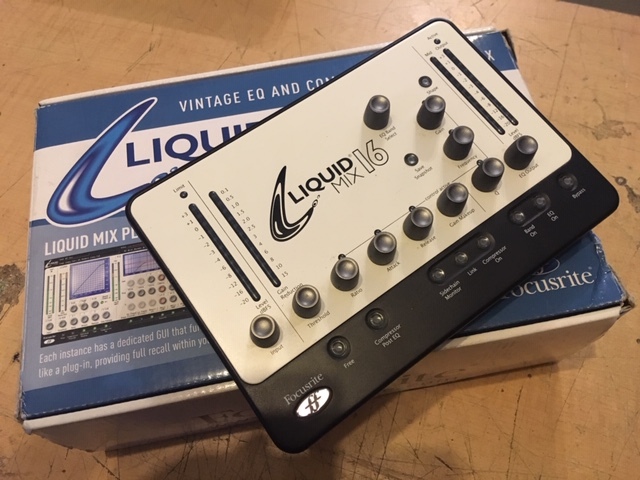 8 In / 8 Out Digital Audio Interface. Phantom power. Hi-Z direct input. MIDI in and out. Coaxial and optical in and out. * Includes Apogee 64 Channel PCIe card and Apogee A80P 8x8 expansion card with 8 Analog In and Out, 8 Digital In and Out! Total value more than $6000! 96kHz Bit Rate! 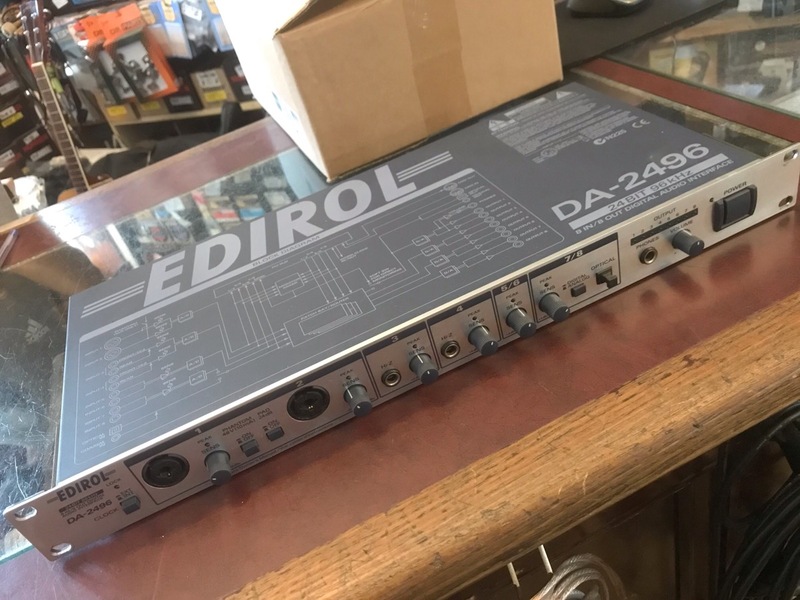 USA Studio quality guitar input/Soundcard/Interface. Connect directly to ipad, iphone, or Mac. With USB and Lightning connections/cables. Includes box and manual. 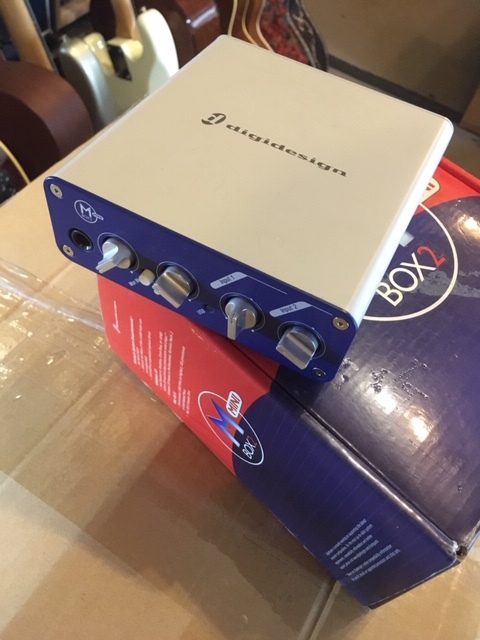 PreSonus Quantum 26x32 Thunder bolt 2 Interface w/ Studio One Artist DAW & Studio Magic. w/PSU and Box! USB Interface. USB powered. Two channel. Works with Windows 7 but nothing later. USB Interface. Two channel. Includes box. *Check compatibility with your computer operating system! 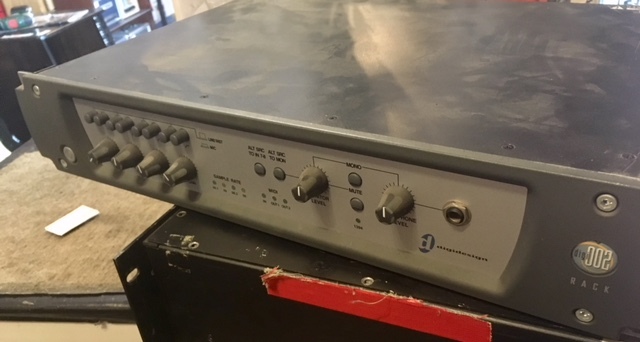 10 in/out 24 bit/96kHz recording interface. 8 analog in/outs and SPDIF. Firewire & optical links. PRICED TO SELL! Enter your email address below to get alerts for Soundcards & control surfaces.